Kane Williamson is closing in on top spot in the Test batting rankings. New Zealand captain Kane Williamson could overtake Virat Kohli at the top of the ICC Test batting rankings by the end of the Kiwis’ home series against Bangladesh after his double century in the first Test. 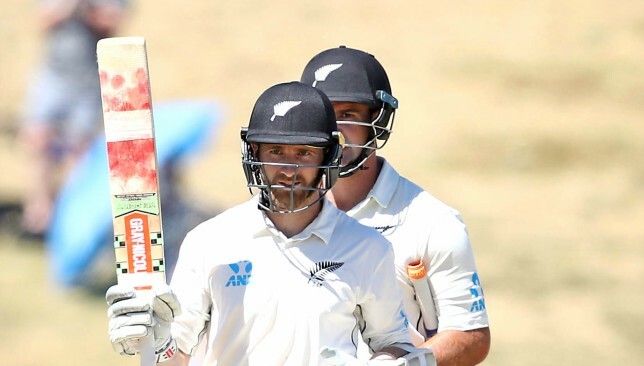 The knock, which earned Williamson the man-of-the-match award, took the Blackcaps skipper up to 915 ranking points, within seven of Kohli – whose next Test assignment isn’t until July. Williamson was briefly the No 1 batsman in 2015. His ranking points tally is also the highest ever by a New Zealand player, with Richard Hadlee, who once hit 909 in the bowling rankings, the only other player from the country to cross 900. New Zealand won the first Test against Bangladesh by an innings and 35 thanks to a stunning batting performance, as they declared on 715/6 – their highest-ever Test score. Alongside Williamson’s unbeaten 200, openers Jeet Raval and Tom Latham also scored centuries and Henry Nicholls added a half-century. Latham’s innings took him to the brink of the top 10 in the batting rankings as the 26-year-old moved up to No 11, with Raval rising to No 33. In the bowling department, Neil Wagner could soon join Trent Boult and Tim Southee in the top 10, after his seven-wicket haul, which included a first-innings five-for, took him to 11th in the rankings.